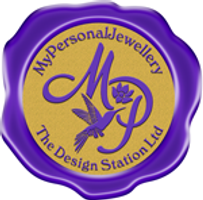 This is the privacy notice of www.mypersonaljewellery.co.uk In this document, “we” or “us” refers to MyPersonalJewellery Store. Our registered office is at Homeleigh, The Nabb, Telford, Shropshire TF2 9BY, UK. ● Shipping: ​We integrate with a number of shipping companies to fulfil your orders. [FEDEX INTL, DPD, DHL and PARCELFORCE] Partnering with highly specialised external companies allows us to focus on what we do best: selling great products. 12.1. to allow essential parts of our web site to operate for you. 12.2. to operate our content management system. 12.3. to store your cart’s content for 7 days. 12.4. to collect information about how visitors use our site. We use the information to improve your experience of our site and enable us to increase sales. This cookie collects information in an anonymous form, including the number of visitors to the site, where visitors have come to the site from, and the pages they visited. 12.5. to manage our accounts. These cookies will expire in 90 days. 12.6. to enable you to watch videos we have placed on YouTube. YouTube will not store personally identifiable cookie information when you use YouTube’s privacy-enhanced mode.